Your photography is more than just an image file. As a photographer, you know that, but it’s hard to make your customers see it. 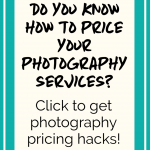 This can make it hard to price your photography, though! 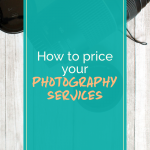 If you’re struggling to find the right price for your photography services, here are some tips to help you find the sweet spot between you and your customers. 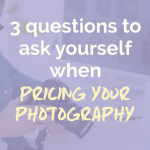 As you get ready to price your photography packages, there are a few things you need to keep in mind. Pricing can be very subjective, but knowing these five things can help you stay in the right mindset. 1 | What types of clients do you serve? 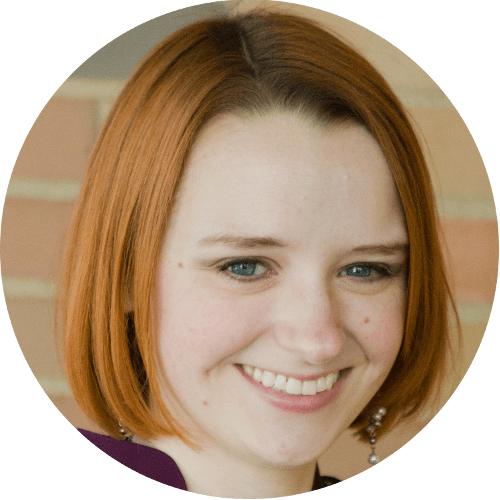 The type of client you photograph for will affect your pricing. After all, if you’re photographing for college students, they’re going to have a very different budget from adult professionals who’ve been in the workforce for a decade! There just isn’t much of any way around that. If you price yourself out of your market, you’re going to be left high and dry. That said, just because the market you CURRENTLY serve can’t afford your true value doesn’t mean you can’t make adjustments. If you really love working with small non-profits, for example, but they just can’t afford to pay what your photography is worth, consider splitting your market. 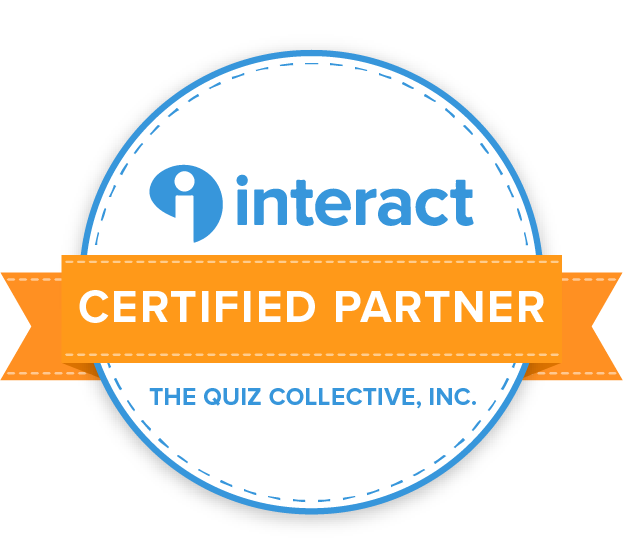 You can start shooting for businesses, professionals, or another similar market that can actually pay you a fair rate, then offer discounts for non-profits (remember to mark the full value and the discount on their invoices for tax purposes!). That way, you can make a living AND keep working with the clients you love. 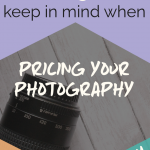 Keeping your client base in mind as you price your photography will be key to finding the right balance with your pricing. This is just a recipe for disaster and striving for the lowest price doesn’t do any photographers any good! Do take others’ pricing into account, though. If you live in a lower-income and cost-of-living area, your pricing will be lower than someone in a big city (e.g. Midwest USA vs. New York City). It’s going to be very hard to get most people in Ohio to pay the same amount as someone in Los Angeles would. That doesn’t mean you can’t differentiate yourself, though. If everyone else who’s photographing for your target market is pricing themselves out of any profit, you don’t have to follow suit. That said, you DO have to find a way to make yourself and your services stand out. So if everyone else is offering mini-shoots that are getting folks in and out as quick as possible, what can you do differently? You could offer full-service shoots; you could offer a more personalized client onboarding process; you could offer styling services as an add-on. There are so many creative ways to make your photography appealing even if it’s a higher price than the rest of the crowd! Find two or three ways that your photography services are different from those around you and capitalize on them. It’s up to YOU to communicate that, though! A good photographer knows how to communicate the value of their work and knows what their clients really value. If you’re working with small businesses, your photography can help them sell more products or services, so it’s an investment for them rather than an expense – they’ll make money because of your photographs! If you’re working with professionals, their headshots could help them stand out from their peers and land them that job they’ve been looking for. If you’re working with families, you’re capturing moments of their lives that they’ll never get back, but which they now have tangible ways to hold onto. Think outside the box when it comes to finding the value of your photography! On that same note, you need to tell your clients about that value. If you aren’t explicitly stating your photography’s value in your marketing, today is the day to start! If you haven’t read the StoryBrand book by Don Miller, you need to grab that today. This framework will help you find your value AND learn how to communicate it to your clients in your marketing materials in a way that connects with them. Copywriting doesn’t come naturally to most of us, so we have to learn how to speak our clients’ language. If you can do that, you won’t have to make the hard sales pitch – they’ll have already convinced themselves that they need you! If you haven’t found ways to communicate what makes you different and why your clients need you, you need to do that right away. 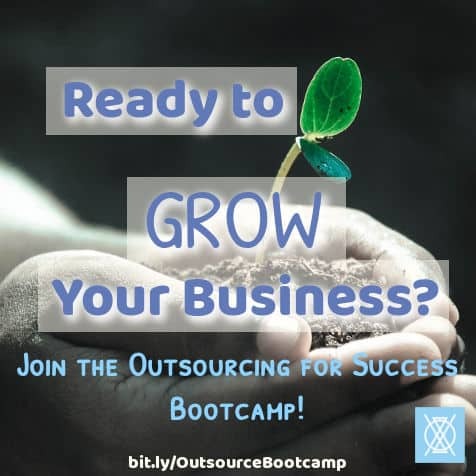 It could make all the difference in your business. 5 | It’s okay to change your pricing as your experience expands! There are very few businesses that never make price changes and honestly, those that don’t are often the ones that fail. Knowing how to communicate price changes effectively is key, though! If clients think you’re arbitrarily raising the prices on them, they won’t take it well. When communicating price changes, there needs to be a reason. Maybe you’re accounting for inflation or for the increased cost of the materials you use in your photography (lenses are expensive!). 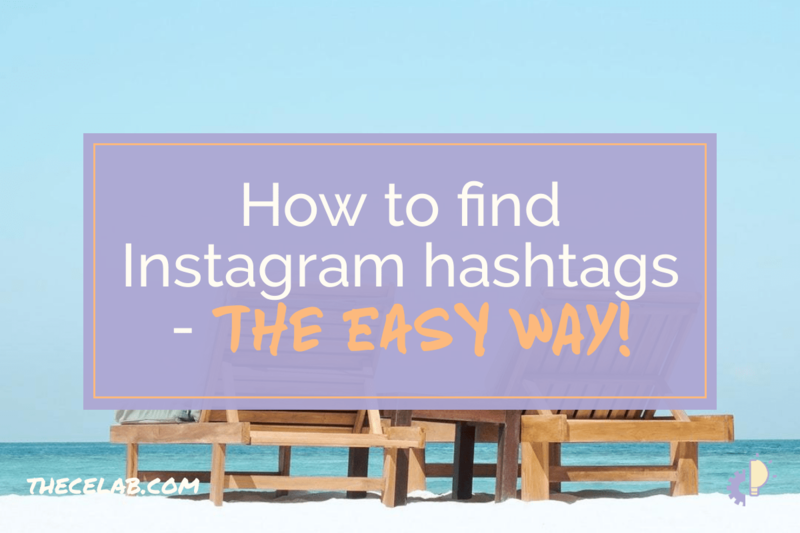 Or maybe you’ve taken some additional training and can now capture your clients in a way you couldn’t before. Whatever the reason for a price change, make sure that your clients understand why it’s important and why it could actually benefit them. 1 | What all goes into your photography setup? Direct costs would be things like your camera body and lenses, tripods, camera bags, backdrops, SD cards, etc. Overhead costs would be things like the electricity to run your computer while editing, gas for your car to get to shooting locations, etc. 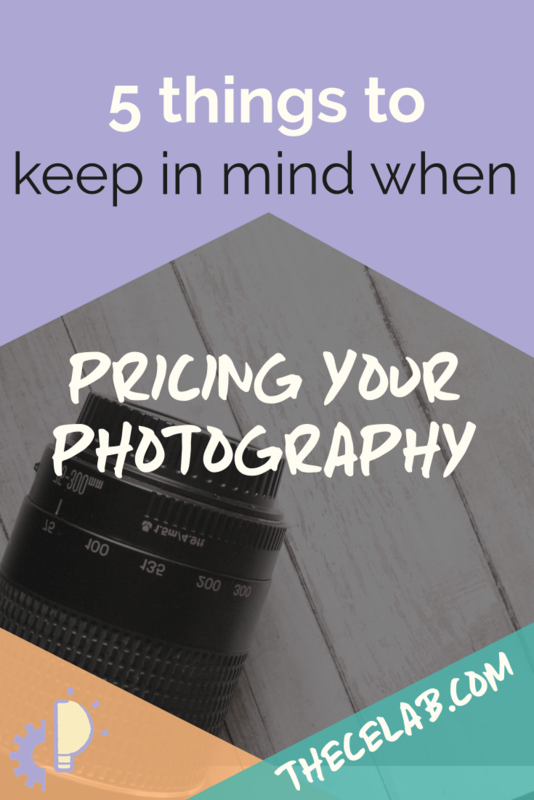 All of this needs to be taken into consideration when pricing your photography. You’re obviously not going to charge the next client who books you an extra $1000 because you just bought a new lens, but you might increase your pricing for new clients slightly to account for that. Adding $20 to your prices won’t feel like too much for your new clients (and honestly, they won’t know that you used to charge less), but you’ll pay yourself back for that lens within 50 new clients that way. Regardless of how you decide to account for your direct and overhead expenses, make sure to include them in your pricing formula. 2 | How much training or learning did it take to get you here? Experience is valuable! Whether you took training classes or taught yourself, your customers are usually coming to you because you have more experience than they do. 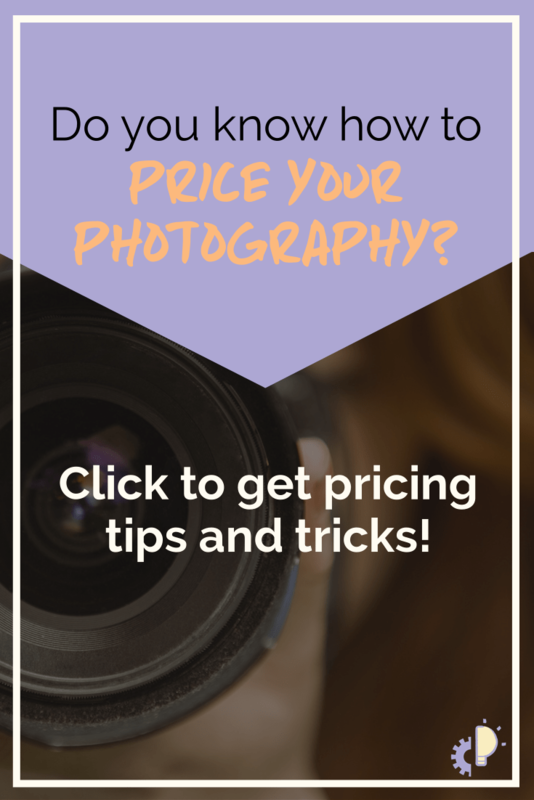 You may have also paid for training, so you should keep that in mind as you price your photography. This is also where comparing your pricing to that of others comes in. If you’re comparing your pricing to someone who’s only been shooting for a year, but you’ve been in the game for 10 years or vice versa, your pricing is (and should be!) different. The experience that comes from years of work is important and shouldn’t be discounted lightly. No matter where you are in your photography business journey, don’t discount the importance of training, learning, and experience. 3 | What value is your customer getting? We already talked about the fact that your photography provides value to your clients. I won’t harp on this again, but you need to make sure to remember this as you price your photography. Write down the different ways your clients receive value from your work. You should write down the exact words you hear when someone says thank you, too! If you can use a client’s words in your marketing (e.g. “These photographs captured the joy of my child’s first birthday and they were worth every penny!”), it’ll help future clients envision how your photography will impact their lives as well. Make sure you have a solid grasp on exactly what value your photographs provide, both for your marketing and your own mindset. 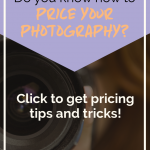 By keeping these five things in mind as you price your photography, you’ll get a better picture (pun intended) of how to price your photography and clearly communicate that pricing. Asking yourself these three questions will also help you get a handle on your pricing and make sure that YOU know why you settled on that price, too. 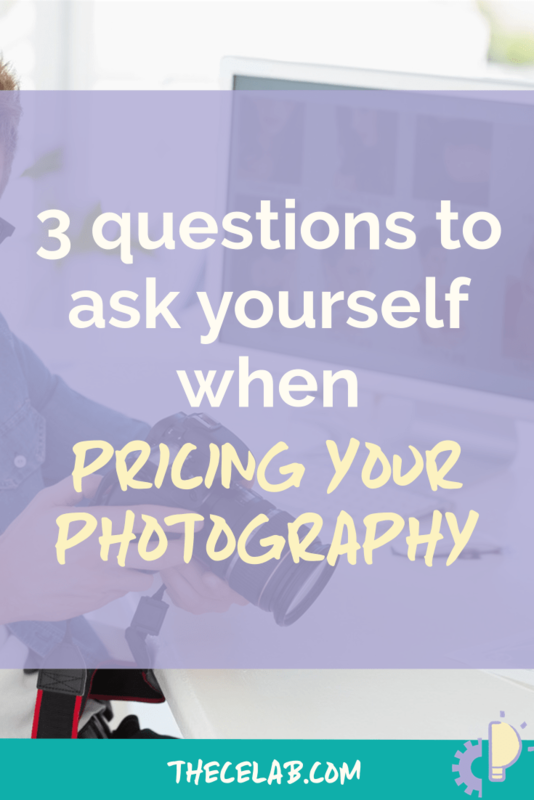 What’s your biggest struggle with pricing your photography? What’s one tip you would share with fellow photographers when it comes to pricing? What value does YOUR photography provide your clients?